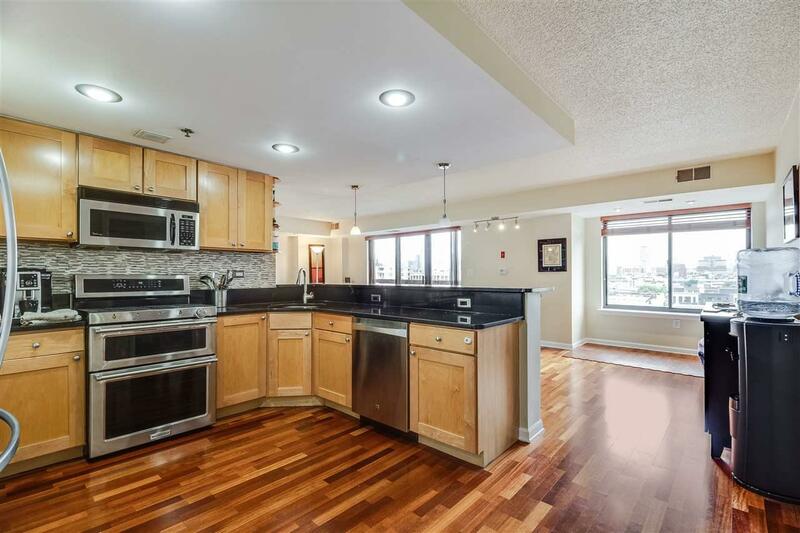 Location, Sweeping NYC views, Skyclub! 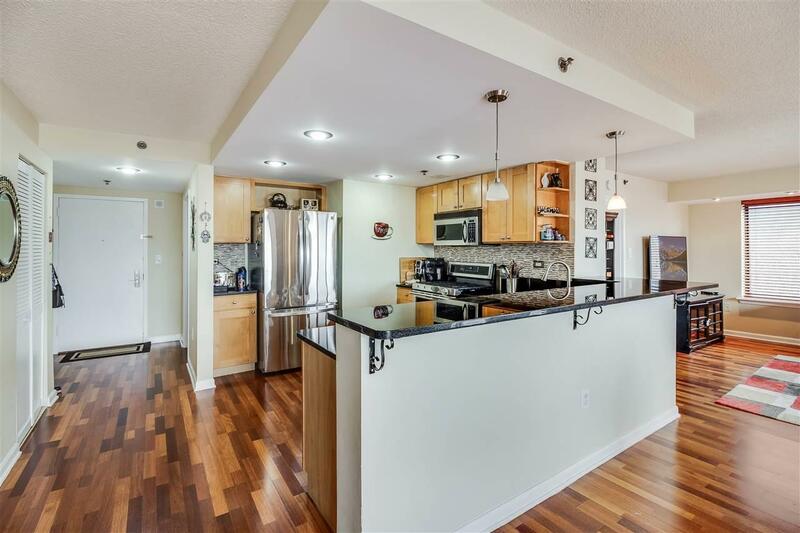 Magnificent 1265 SqFt 2 Bedroom corner home that is flooded with natural light Open Style kitchen features granite counters, stainless steel appliances and custom cabinets that overlooks the living and dining area. large master suite easily allows a king size bed and features customized closets and upgraded marbled tiled bath w jacuzzi tub and rain shower head. The 2nd bedroom is on the opposite of the living area allowing maximum privacy. 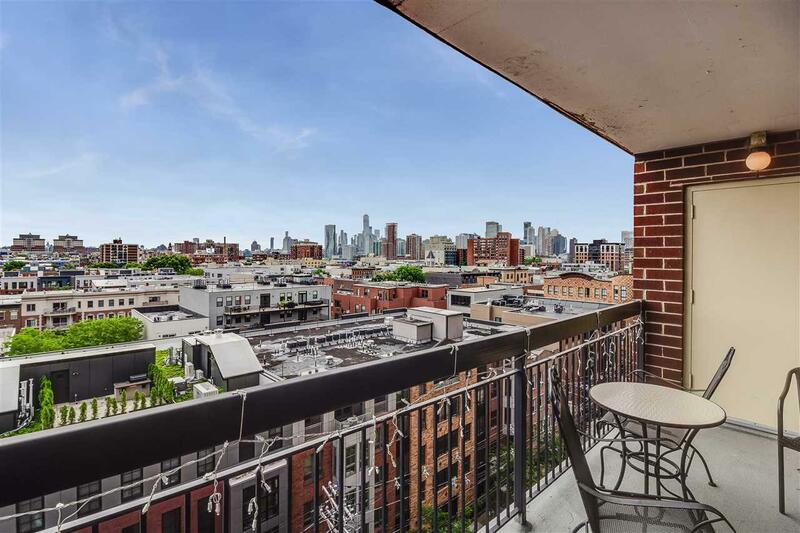 Relax on your private terrace while gazing at the NYC Skyline. Other features include hardwood floors, central air and in home washer dryer (stove, dishwasher and w/d approximatley 3 years old). 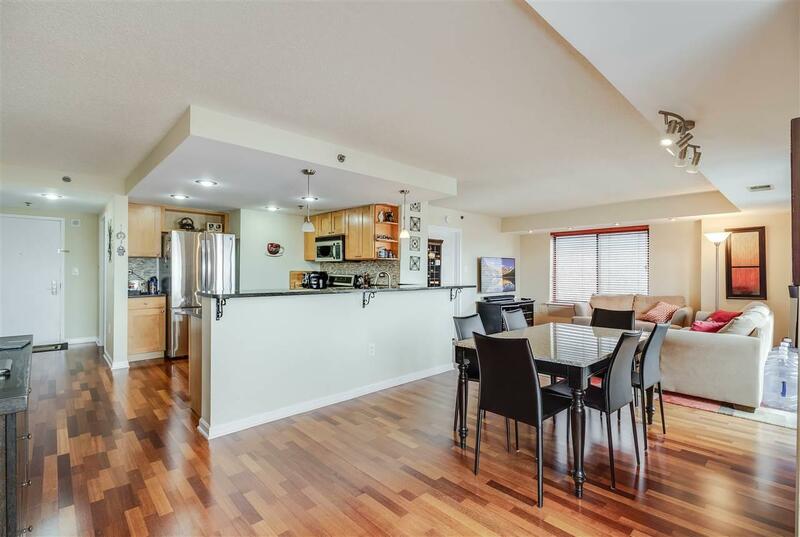 Fantastic commute with private shuttle to the path or light rail to path, ferry and train around the corner. Parking and 25,000 SqFt gym with pool available for extra fee.